Facebook wants its users to take control of their own privacy, and it's giving them new information to help them do just that. The social network today launched Privacy Basics, a page set up to offer users advice and how-to tips to make sure they have the level of privacy they want for their Facebook profiles. Facebook also is giving users an early look at changes the company plans on making to its terms of service, data policy and cookies policy. Users have a week to make comments or suggestions about what's coming. "Over the past year, we've introduced new features and controls to help you get more out of Facebook, and listened to people who have asked us to better explain how we get and use information," wrote Erin Egan, Facebook's chief privacy officer. "Protecting people's information and providing meaningful privacy controls are at the core of everything we do, and we believe today's announcement is an important step." 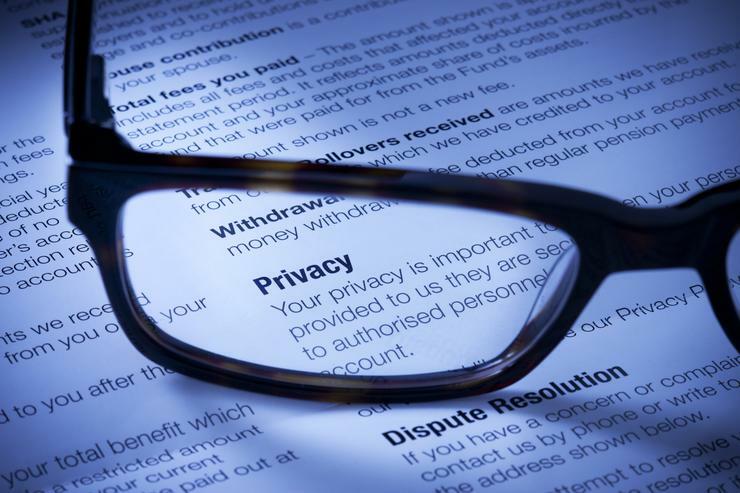 Facebook has had its share of privacy controversies. It has repeatedly been criticized for its privacy policies and even for the difficulty in using privacy controls. "This may showcase that Facebook is finally beginning to understand perceptions are important," said Rob Enderle, an analyst with the Enderle Group. "This really isn't a change in policy but a change in how they communicate what they are doing. This kind of thing can improve trust and, if they keep it up, it should improve customer retention and satisfaction." Facebook, he added, may be losing some of the "arrogance" it had previously shown users. Zeus Kerravala, an analyst with ZK Research, said Facebook's move could encourage a lot of users to increase the privacy around their posts and photos. The new Privacy Basics page offers interactive guides to what Facebook says are the most commonly asked questions about how users can control their information. For example, the site, which is available in 36 languages, offers advice on untagging, unfriending, and blocking other users. It also has tips for choosing the right audience - such as friends, friends of friends and public. "Over the course of 2014, Facebook has made significant changes to how it approaches user privacy, and the Privacy Basics are yet another tool they are offering to help clear up confusion if users don't understand how certain settings impact what they share," said Brian Blau, an analyst with Gartner Inc. "This will be an ongoing effort, as for many years Facebook didn't take this approach and its impact on users has been significant." Blau noted that a recent Gartner survey showed that privacy is one of the most important issues for any app user. "Facebook can see these trends, as well, and I'm sure we will see them have even more privacy-related updates to their products in the future," he added. As for the policy changes, Egan noted that the company is moving to better explain how the site gets users' location information. "Millions of people check into their favorite places and use optional features like Nearby Friends," he explained. "We're working on ways to show you the most relevant information based on where you are and what your friends are up to. For example, in the future, if you decide to share where you are, you might see menus from restaurants nearby or updates from friends in the area." Facebook is also trying to better explain how it uses information it gleans about you. For instance, Egan explained that the mobile app might ask permission to use a phone's location to offer features like check-ins or to add a user's location to posts. Egan also wrote about efforts to help users control what kind of ads they see. Today, if a user opts out of seeing specific kinds of ads on one platform - say, Facebook's mobile app - that choice can be applied to the desktop, too. "In the past, if you opted out of certain kinds of advertising on your laptop, that choice may not have been applied for ads on your phone," wrote Egan. "We know that many people use more than one phone, tablet, or browser to access Facebook, so it should be easy for you to make a single choice that applies across all of your devices."